Your wedding is not just tying the knot and moving on. It is not just about wedding day cake and flowers. It is not just photos and flashes of one day. It is much more than that. It is much more than we think it is. It is a life time event. It is the day that is all set to change your life once and for all. Your wedding has more meaning to it and it deserves more attention. There are several ways in which you can make your wedding days memorable. People take videos, photos, toasts and other stuff. But there is another and better way to do all that. Why not create a wedding memory book? The best part about creating a wedding memory book is that you can not only add the events of your wedding in it, you can answer the questions like how did you two meet? Where did you take her on the first date? How did you propose her? 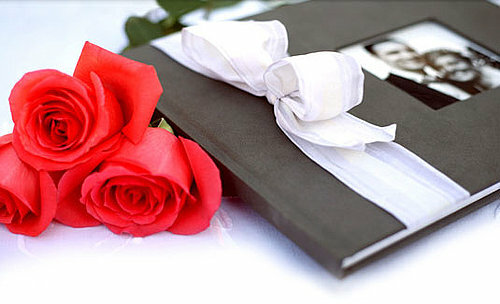 Wedding memory books are the best way to gather all the important memories in one book and can save you a huge amount of trouble explaining your past stories to your relatives who keep on bugging you about the day you met your partner. Before moving with the plan of creating a wedding book, you need to make up your mind whether to a just the wedding related material to the book or you want to include all the memorable events dating from your first encounter with your partner. By deciding on this process, you will be able to determine the size you will be requiring for the wedding book as well as dimensions of the photos you are going to add to it. Creating a wedding memory book is not easy at all but patience is virtue. Spend a whole Sunday on this process and look through all of your photographs of the events you are planning to cover in the wedding memory book. Carefully put aside those photos which are very stand out or have some awesome memory attached to it. Even your picked photos can go beyond the limit so you need to set aside the must-have photos. These photos must be of significant importance as in you proposing to your partner on one knee, or you cutting your wedding cake with your partner. Decide a theme for your book and organize your photos in a way you want your story to be seen. Put it all together and add a good front and back cover.